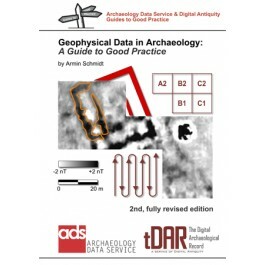 Anyone who has tried to archive archaeological geophysics data will have wondered what might be the most comprehensive and practical approach. This question is addressed by this Guide’s extensively revised 2nd edition, which systematically explores what should be included in an Archive, illustrated with relevant examples. A conceptual framework is developed that allows assembling data and meta-data so that they can be deposited with an Archiving Body. This framework is also mapped onto typical database structures, including OASIS and the English Heritage Geophysics Database. Examples show step-by step how an Archive can be compiled for deposition so that readers will be able to enhance their own archiving practice. Geophysical data are sometimes the only remaining record of buried archaeological features when these are destroyed during commercial developments (e.g. road schemes). To preserve them in an Archive can therefore be essential. However, it is important that data are made available in formats that can still be read in years to come, accompanied by documentation that gives meaningful archaeological context. This Guide covers the creation of the necessary metadata and data documentation. There is no point preserving data if they cannot be used again; therefore this Guide is essential for anyone using geophysical data.